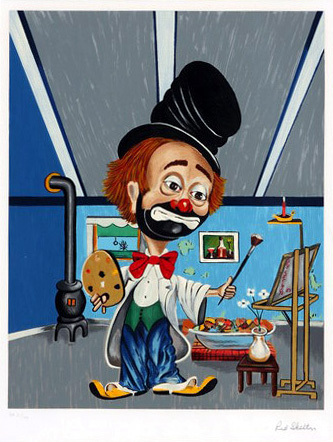 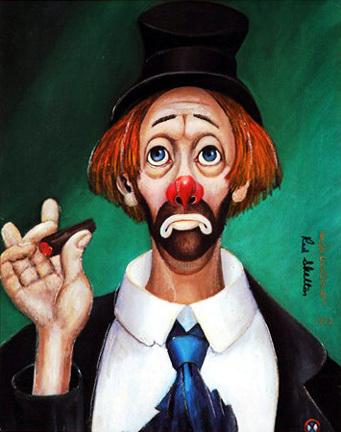 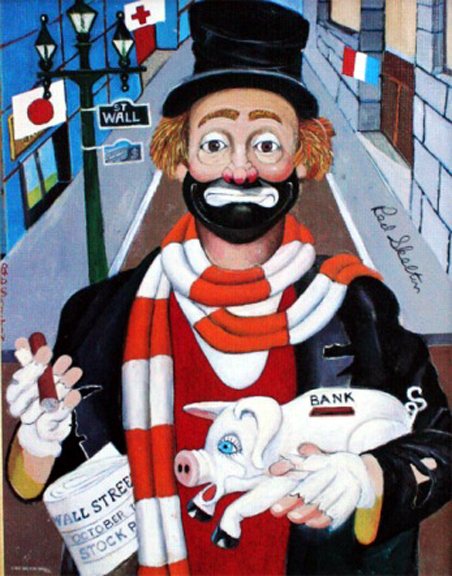 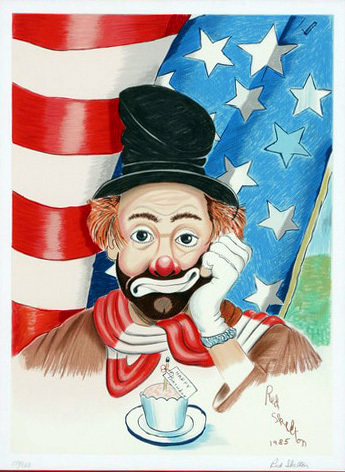 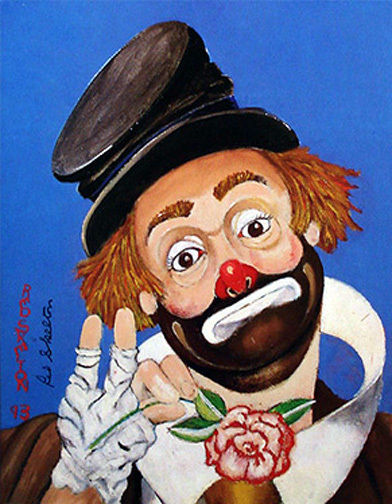 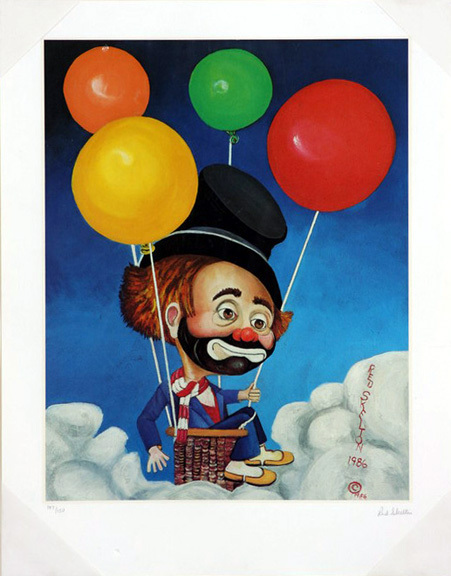 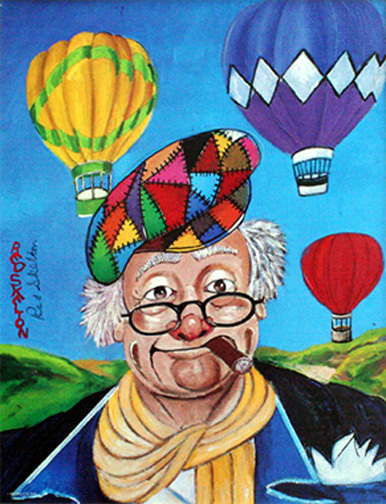 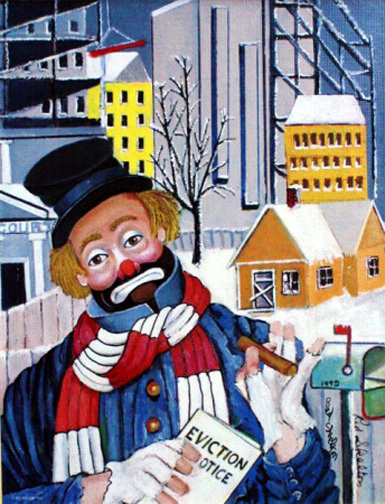 Red Skelton is an artist available through Herndon Fine Art. 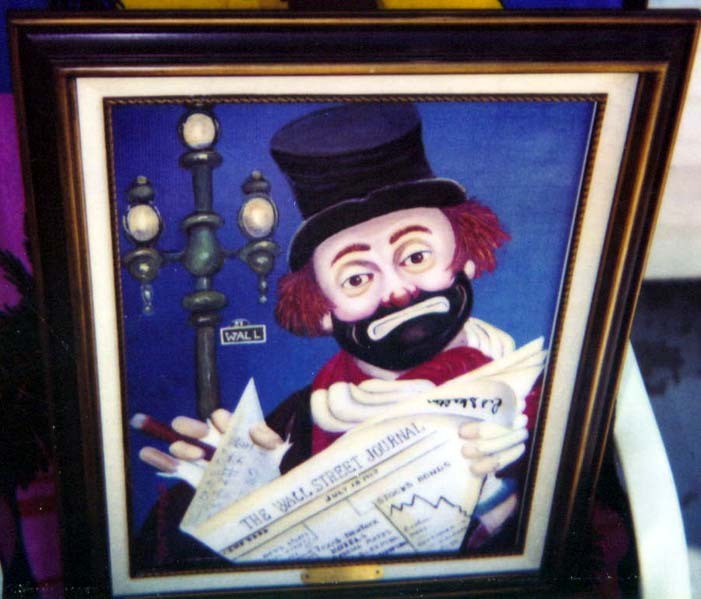 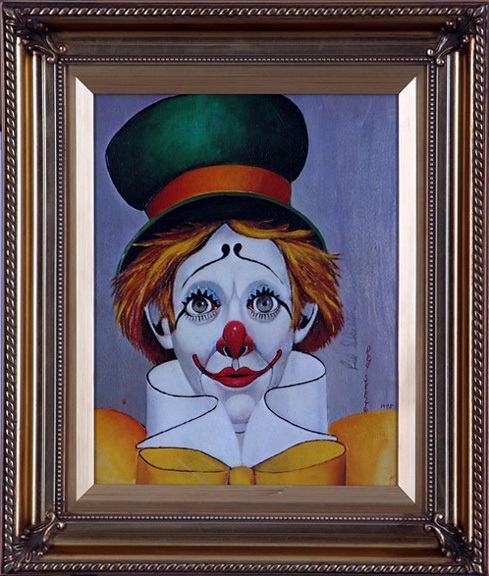 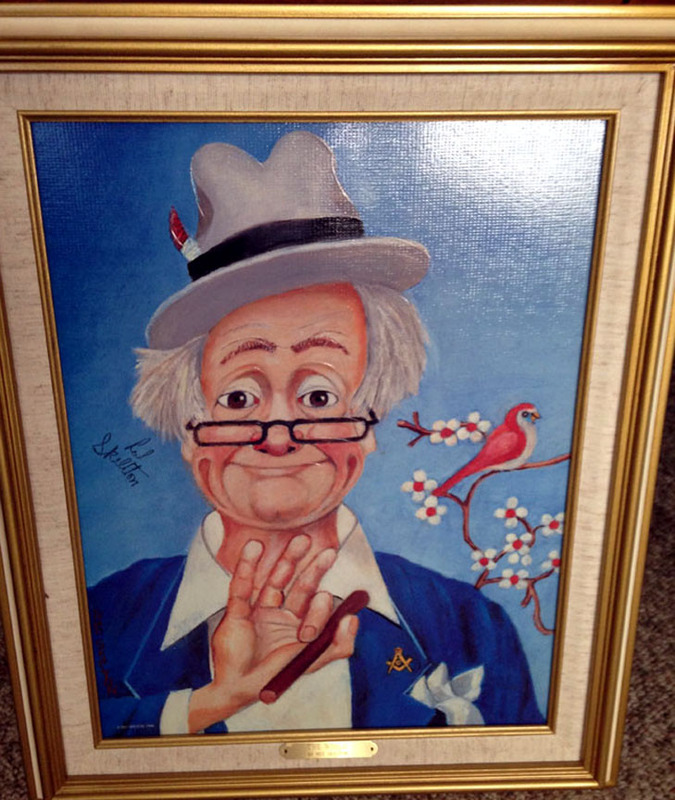 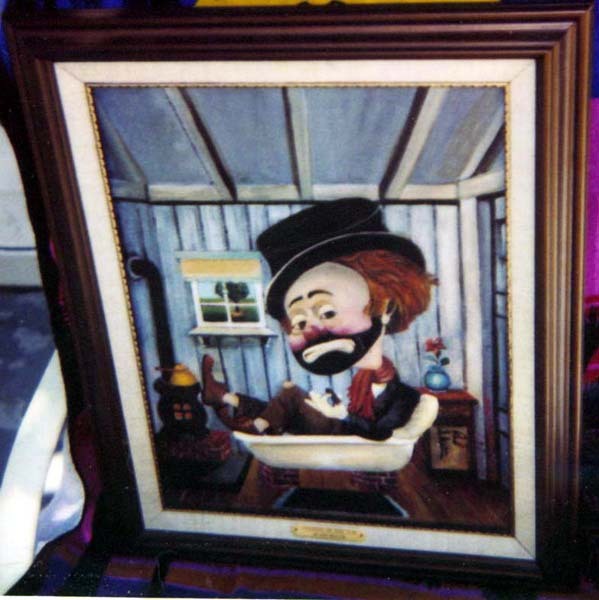 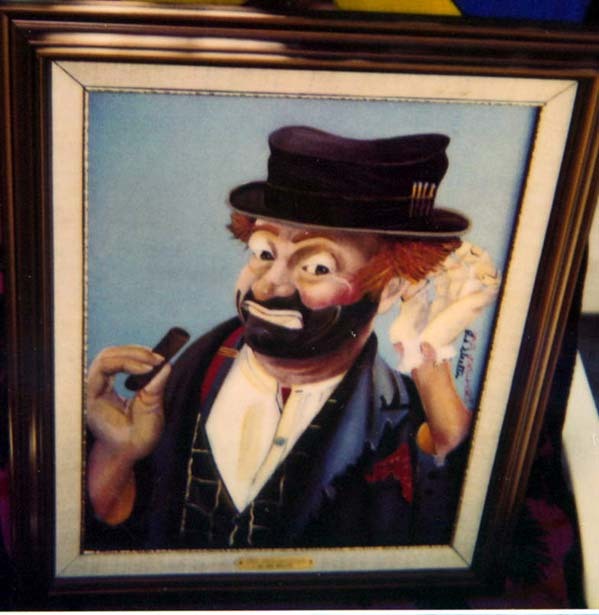 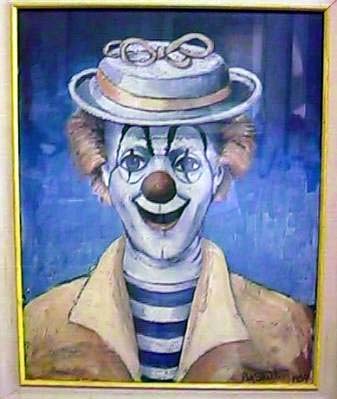 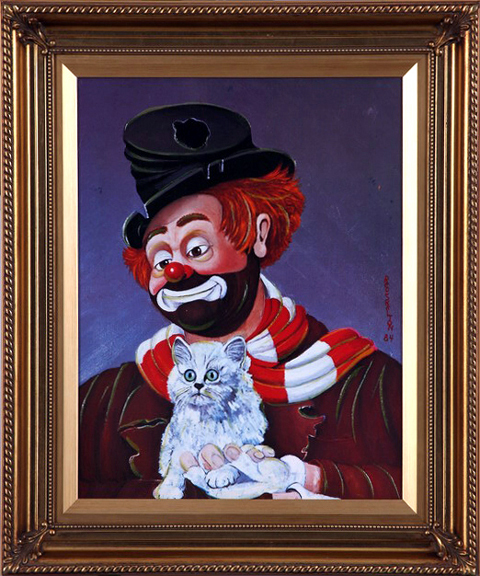 Whether you are interested in buying or selling fine art from Red Skelton, you have arrived at an excellent resource to do so. 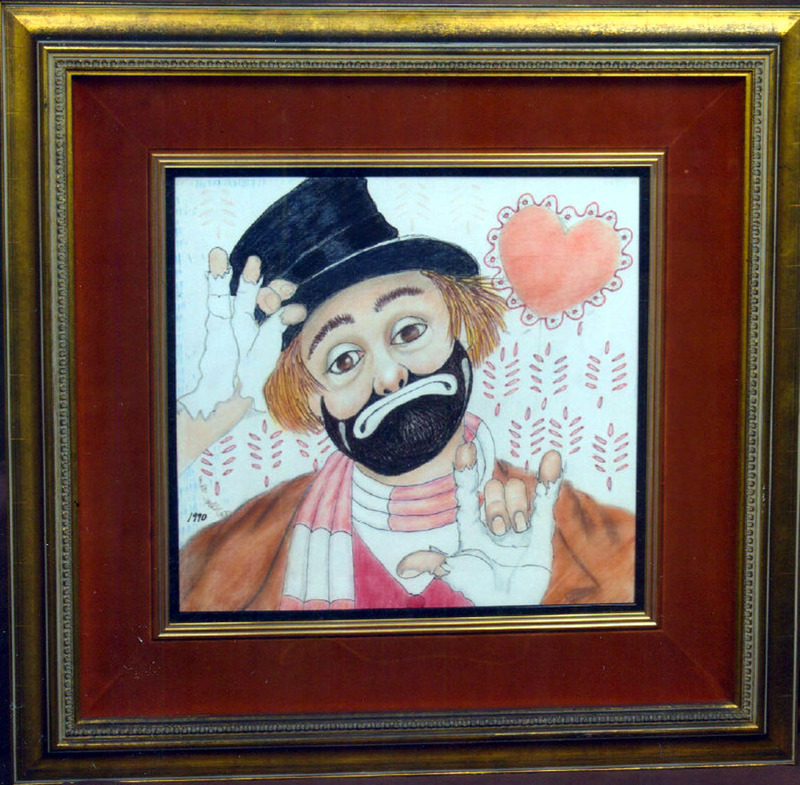 These are just some of the Skelton's we have available. 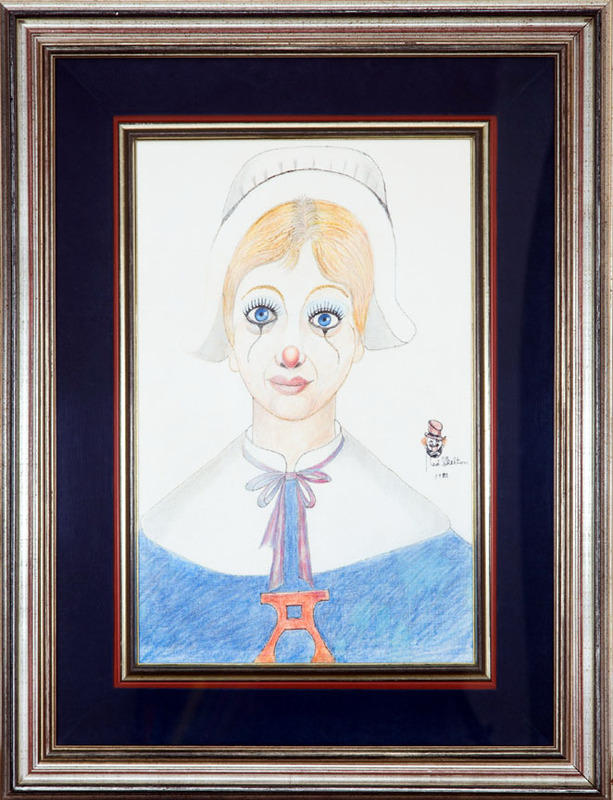 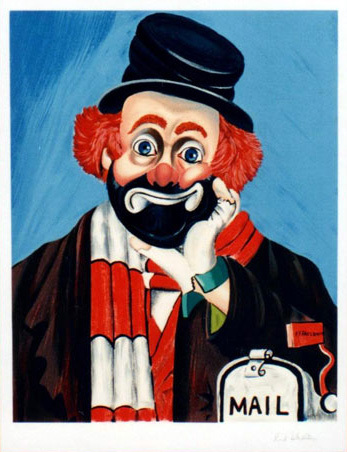 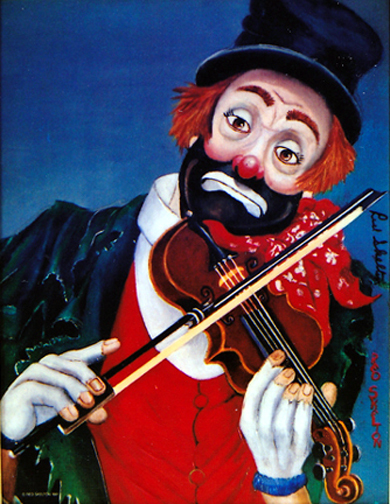 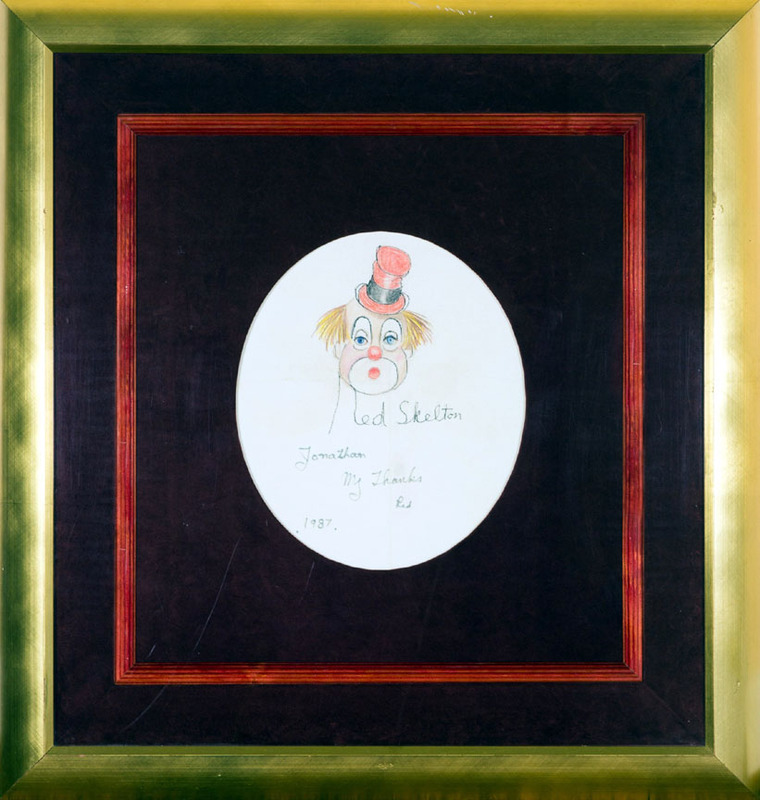 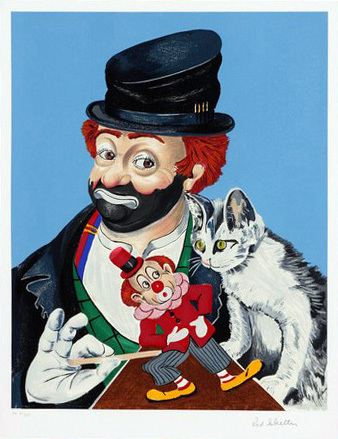 Please call or click here to email us directly for title availability and pricing of Red Skelton limited editions, and originals. 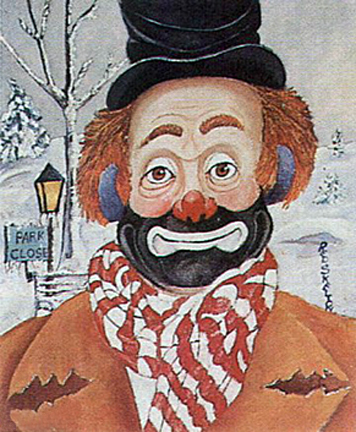 Both Mr. and Mrs. Skelton considered this self portrait as one of Mr. Skelton’s finest self portraits. 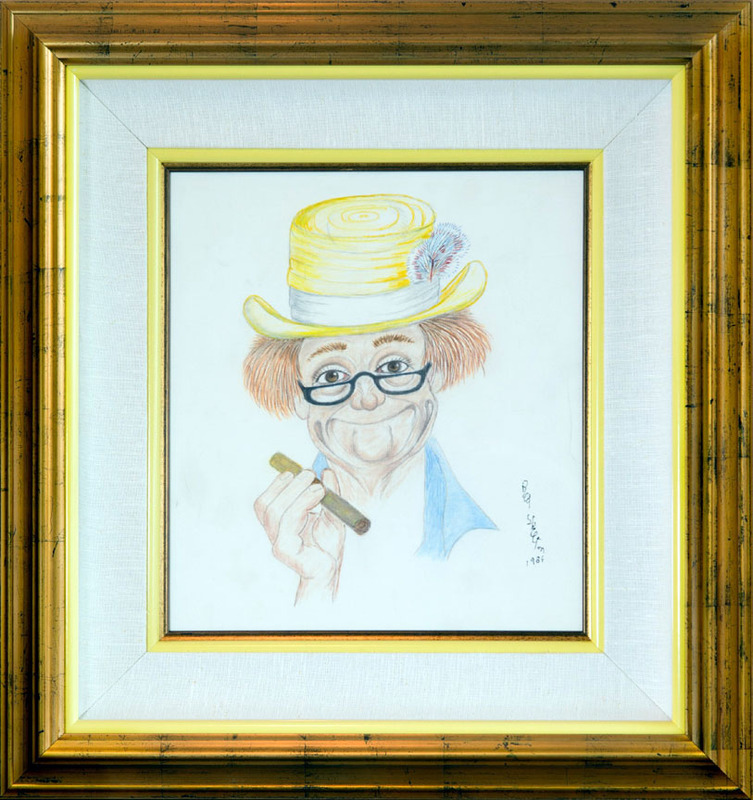 The drawing is accompanied by a photograph of Mr. Skelton holding the drawing at his home on the Tamarisk Golf Course in Rancho Mirage. 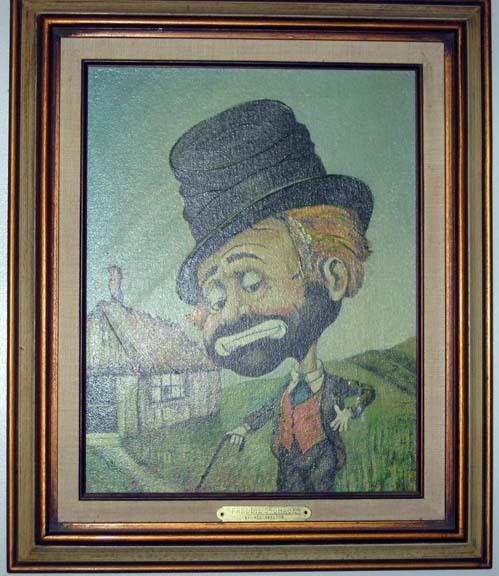 Mr. and Mrs. Skelton also posed for a photograph with Mr. Lang and the original drawing. 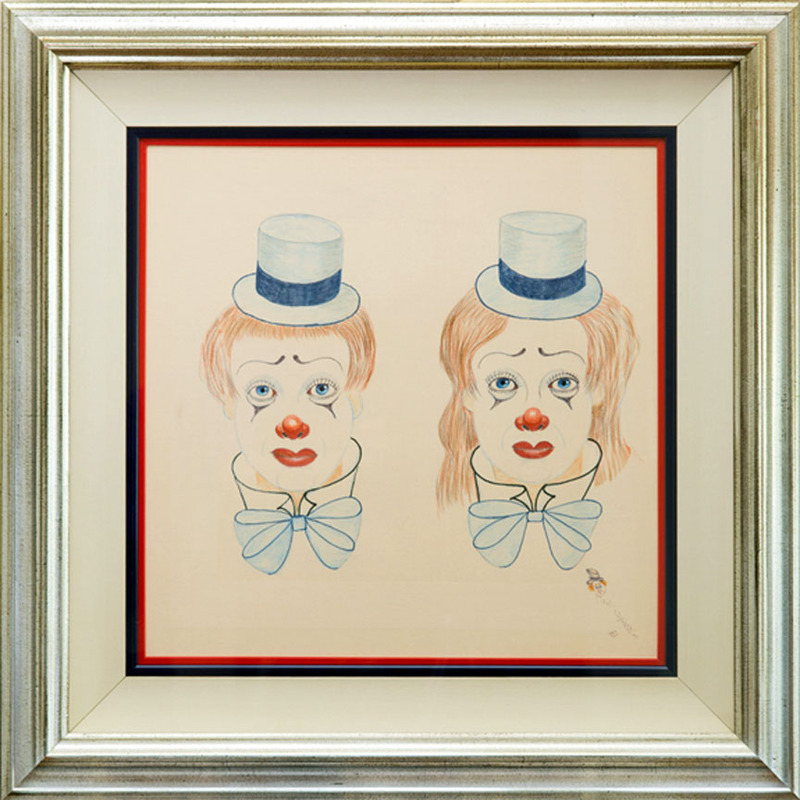 This drawing is quite unique as it features a portrait of two clowns, a man and a woman, each wearing blue hats. 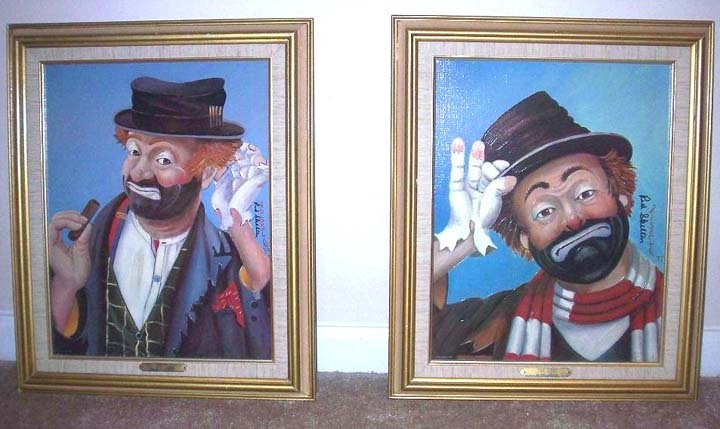 Mr. Skelton seldom painted double images on canvas or linen. 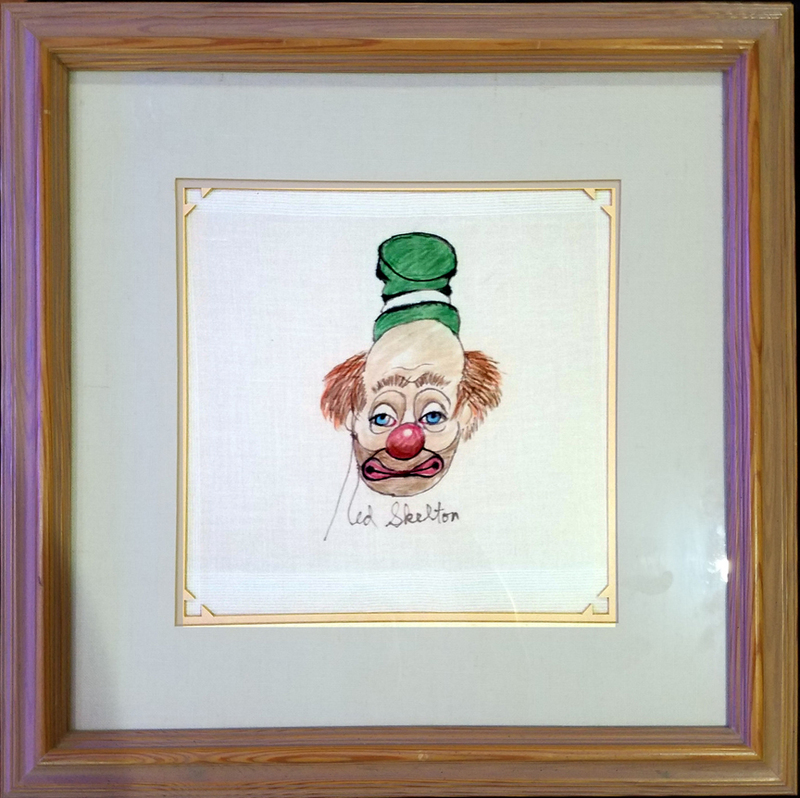 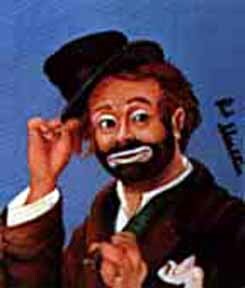 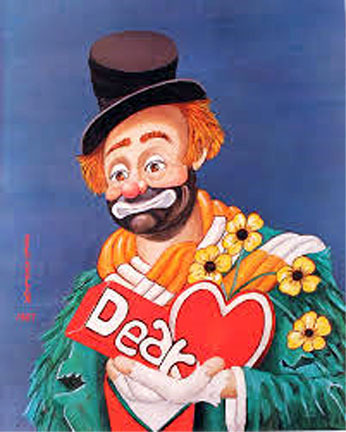 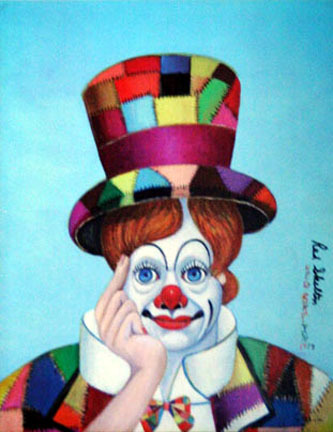 Mr. Skelton’s signature is a part of the original drawing as the “R” in Red Skelton becomes the face of the clown. 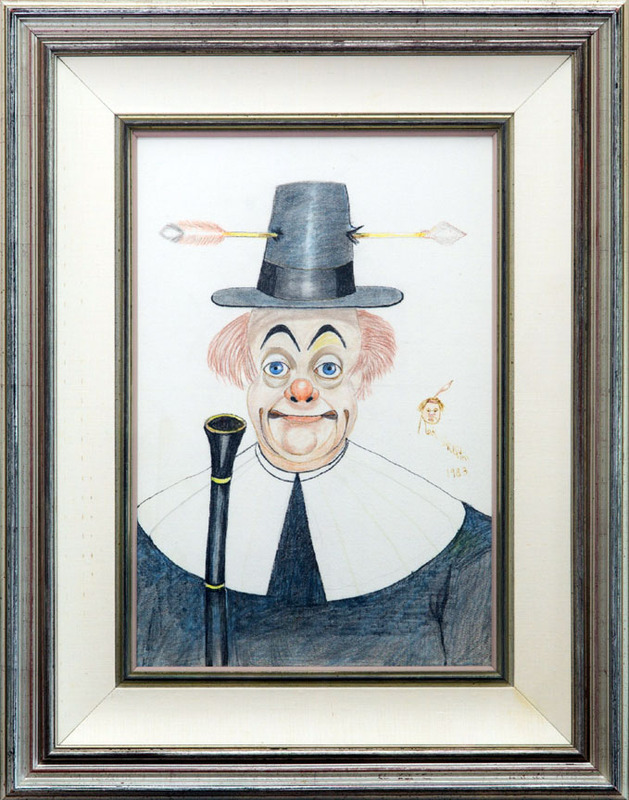 Mr. Skelton used prismatic oil pencils and crayons to create this unique work of art. 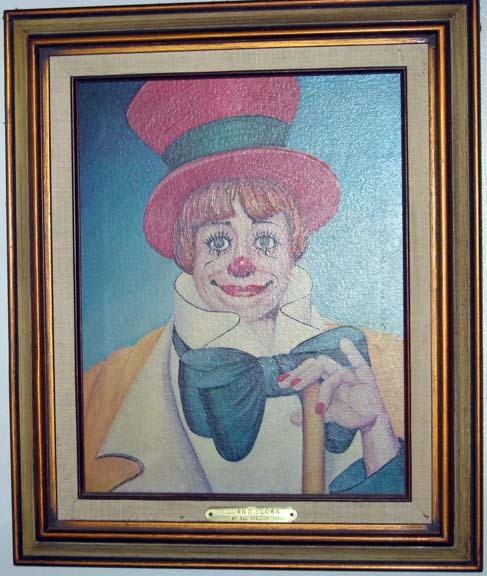 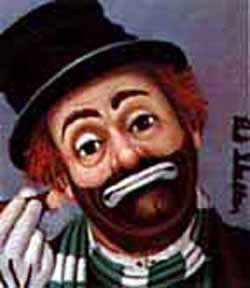 The clown which is portrayed in the drawing was a friend of Mr. Skelton. 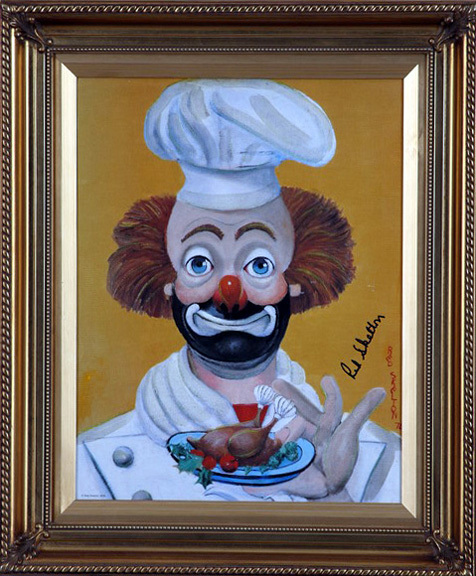 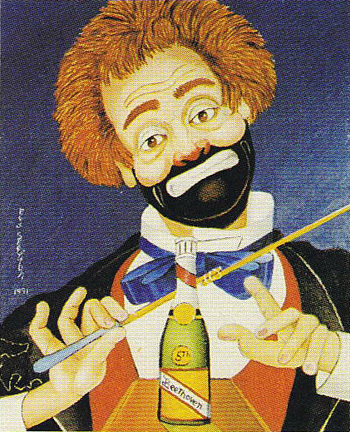 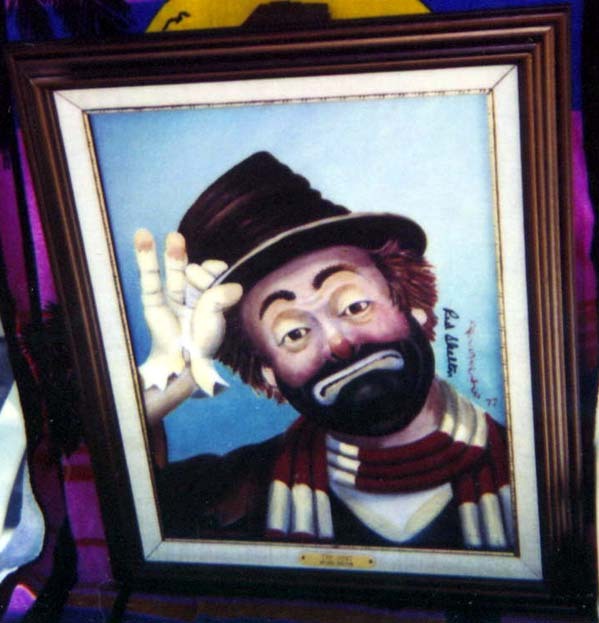 Mr. Skelton’s signature is a part of the original drawing as the “R” in Red Skelton becomes the face of the clown. 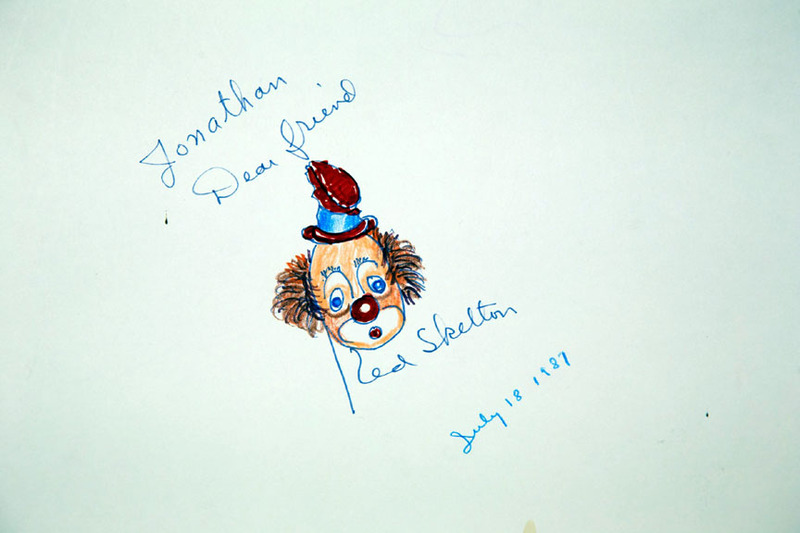 Mr. Skelton has added the dedication words (above the clown) “Jonathan, Dear friend” and dated the drawing “July 18, 1987”.